Article 3A of the New York Lien Law contains a set of little known, but very powerful, rules and regulations for the handling of money on construction projects within the State of New York. Article 3A provides that all funds received on a construction project which are intended for construction must actually be used to pay contractors and suppliers that are owed money before the funds may be used for any other purpose. Article 3A provides very strict guidelines for who can be paid and when they can be paid. The person that receives the funds is known as the “trustee” of the Lien Trust Funds and must make sure that all “beneficiaries” of that fund are paid before the Lien Trust Funds are used for any other purpose. The person that is due the funds is known as the “beneficiary” of the Lien Trust Funds. The beneficiary has a number of special rights under the Lien Law including the right to examine the books and records of the trustee (often the general contractor) and the ability to hold the corporate principals of the trustee personally liable for any “diversion of trust funds.” When Lien Law Trust Funds have been diverted, the beneficiaries have the right to commence a lawsuit to trace and recover the trust funds from the trustee. New York law requires that these actions to recover diverted trust funds be brought as class actions. A class action means that the beneficiary that brings the suit is bringing the suit on behalf of all beneficiaries of the trust fund and that the funds recovered will be shared among the beneficiaries. Article 3A provides that the beneficiaries in the class action are entitled to recover their attorneys’ fees from the trustees and they can possibly also recover punitive damages. Class actions can be beneficial to large and small claimants allowing them to pool their resources and bring the claim against the trustee together, thus decreasing their individual costs of pursuit. Trust Fund diversion litigation is often a way to recover funds that may otherwise not be recoverable by the beneficiaries. For example, if the trustee is a contractor that has gone out of business, and the owner paid the contractor thus extinguishing any mechanic’s lien rights, the beneficiaries’ best option for recovery is often to pursue the corporate principals for the trust diversion. Notably, in addition to personal liability for diversion of lien law trust funds, trust fund diversion liability cannot be discharged in bankruptcy. The attorneys at Kushnick | Pallaci, PLLC are experienced trust fund diversion litigation attorneys and have successfully litigated trust fund diversion claims from inception through to judgment and collection. 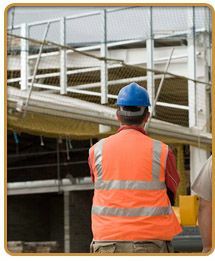 If you are owed money on a construction project within the State of New York contact us now to discuss your rights and how we may be able to help you recover your money.